Is there a better alternative to GoToFile? Is GoToFile really the best app in File Management category? Will GoToFile work good on macOS 10.13.4? 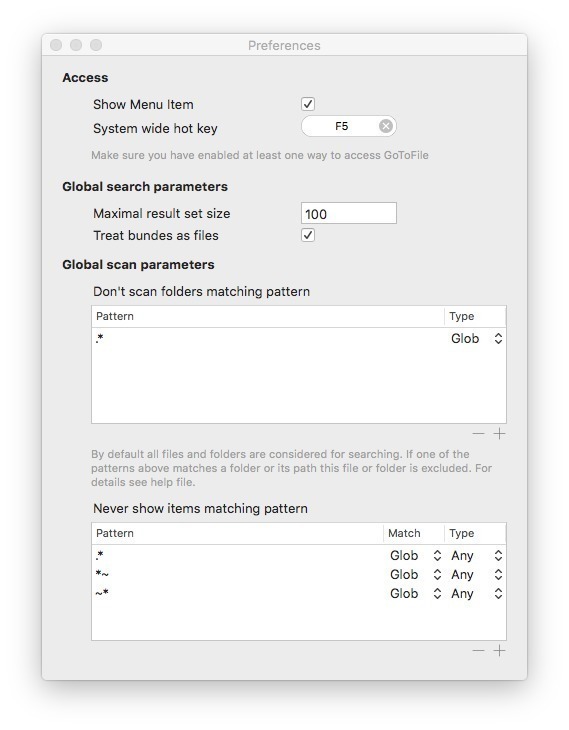 We all know and love macOS' Spotlight and GoToFile is not here to replace it. GoToFile searches fuzzily or via regular expressions. It allows you to find any file on your Mac, not just the ones Spotlight deems appropriate. It lets you define different search-sets when needed, so you can focus on locations you are interested in on-the fly. And it is fast. Because it searches by name/path only and because it stores its small index in memory iIt shows results from tens of thousands of files before you have released the key. 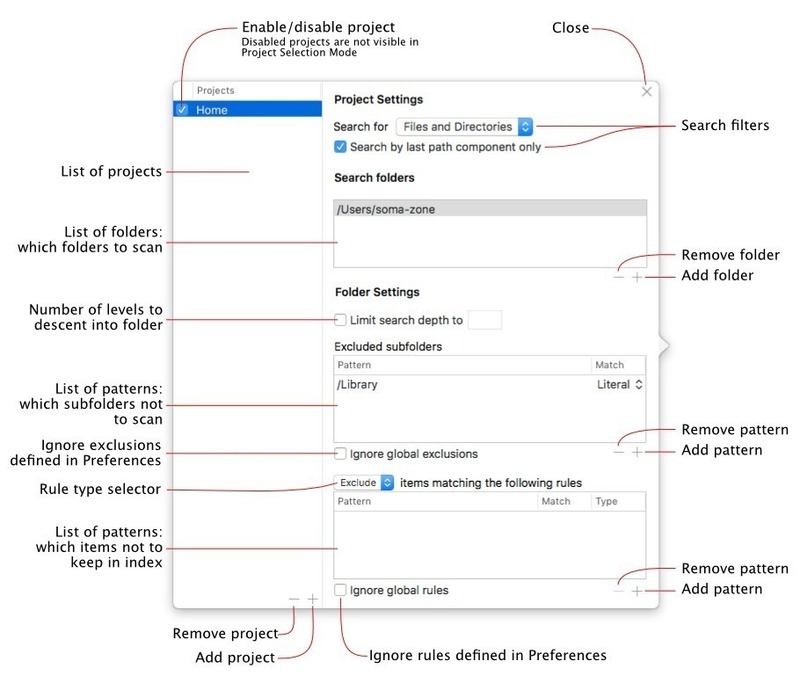 Quickly exclude folders from current project with new menu item "Exclude from Search folder"
GoToFile needs a rating. Be the first to rate this app and get the discussion started! Once you found what you were looking for you can open the file with its default application or with the one you are currently working in. It replaces the macOS file open dialog! Just as easily you can make it type the path of the file into the current application-great for Terminal users. With copy, move, rename and duplicate GoToFile offers basic file management functionality as well. Drag-and-drop to other applications is supported, and so is QuickLook for instant previews.